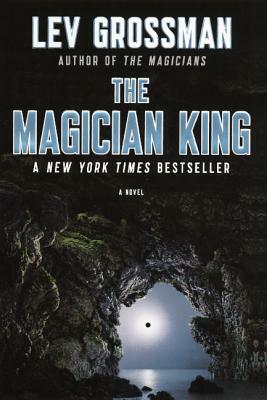 Return to Fillory in the riveting sequel to the "New York Times" bestseller and literary phenomenon, "The Magicians"
Quentin Coldwater should be happy. He escaped a miserable Brooklyn childhood, matriculated at a secret college for magic, and graduated to discover that Fillory - a fictional utopia - was actually real. But even as a Fillorian king, Quentin finds little peace. His old restlessness returns, and he longs for the thrills a heroic quest can bring. Accompanied by his oldest friend, Julia, Quentin sets off - only to somehow wind up back in the real world and not in Fillory, as they'd hoped. As the pair struggle to find their way back to their lost kingdom, Quentin is forced to rely on Julia's illicitly-learned sorcery as they face a sinister threat in a world very far from the beloved fantasy novels of their youth. LEV GROSSMAN is a senior writer and book critic for "Time "magazine. He is a graduate of Harvard and Yale, and lives in Brooklyn with his wife and two daughters. In 2011 Grossman won the John W. Campbell award for Best New Writer from the World Science Fiction Society.